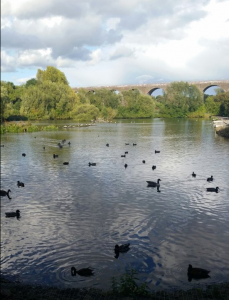 I am putting down some thoughts on environmental matters from the perspective of being here in Reddish Vale in Greater Manchester half the year and Bruny for the other half. One of the things that’s exercising my mind is the relationship between environmental conservation and community well-being in the management of local natural areas. That’s of key interest to us at BIEN, especially when thinking about the Biosphere Reserve and the whole culture/nature question, as well as to those of us on the Friends of the Vale (FOTV) management committee. The question is whether the context is so utterly different that nothing meaningful can be gained from a comparison. Reddish Vale Country Park consists of 140 hectares of post-industrial woodland along the lower reaches of the River Tame. As one of the larger reserves in the area it is a refuge for waterfowl and raptors, a range of endangered wetland species, habitat for woodland species and home to half a dozen Sites of Scientific Interest. Situated in the middle of heavily populated working class suburbs, it is a heavily-used recreational area with a Visitors Centre open 363 days a year staffed by FOTV volunteers. Three former millponds used by the calico mill when it operated here, and walkways along the Tame River, are the focus of most of the visitors. When we arrived here 6 years ago, there were three Park Rangers under the leadership of a Senior Ranger. All four jobs have now been made redundant because of local council budget cutbacks, and they have been replaced by one part-time maintenance person sort-of funded by Council. That puts problems BIEN has with Kingborough Council in perspective! Incidentally, there’s a greater North-South divide in this country than I realised – Northern English Councils are debt-ridden and not coping, London boroughs are flush. I am one of a team of around 10 volunteers who are primarily responsible for the day-to-day management of the Park as best we can. I only put in a day a week down here, so others are more involved than I am. Our stated goal is to manage the Park for the benefit of the community and the wildlife, but the practical effect of these daily decisions is that wildlife usually comes second when there is a clash between the two. Everyone on the committee is strongly wildlife-oriented, and we are cheered when there are sightings of deer or badgers, but the immediacy of community concerns means they take precedent. One small example: we were out in the southern part of the Park, clearing undergrowth away from an area close to the carpark. A number of us were unhappy with the resulting loss of habitat; ‘where are all the little birds and mammals going to live now?’ grumbled someone. We were planning to speak about this the next week to the volunteer supervisor, but before we could, he reported that a woman had come up to him a few days later in tears, thanking him for clearing out the undergrowth and removing one of the places where a local stalker used to lurk. He had apparently moved on to the great relief of women who jog in the area (the local police are useless in such matters, being hopelessly understaffed). Well, what could we say about habitat after he reported that? I could go on about the dilemmas we face, the problems with vandalism, the way any planted trees seem to be a focus for destructiveness, but that’ll do it for the moment. When I think about the monthly boneseeding sessions we used to do with Killora Coastcare Group, the contrast is apparent – a large area, very sparsely populated, where the one environmental issue of the spread of invasive species dominates all other considerations. 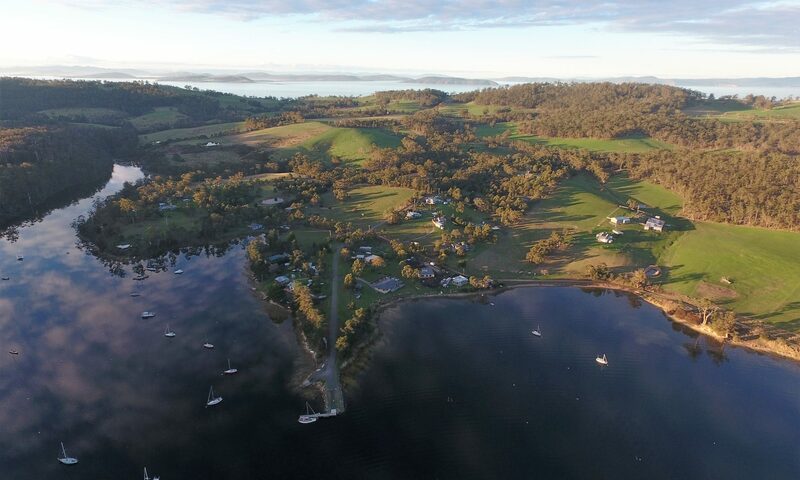 Of course, the well-visited areas of Bruny Island are facing the prospect of being loved to death, just as Reddish Vale is, but for very different reasons. One of the differences that is very much in my mind is that for me, the power of the natural world beyond the human-made environment is so much more evident on Bruny. I miss it here, though there are glimpses of it in the nearby Peak District. It seems so important, to have the experience of the power of the more-than-human world as part of life. I know that it is quite possible to have that here, in one’s garden, in the night sky, by the river, and I know the human and natural are inextricably linked everywhere, but there’s something palpably different, the land on Blackstone is alive in a way that is still difficult to sense here. From this distance, it seems to me that is one of the most precious things about Bruny, something that we in BIEN don’t do a great job of articulating, but that’s easier said than done. I’d be interested in people’s reactions. Is this of interest? Is it of any value in thinking about what we do in BIEN or are the differences too great? Are there particular comparisons that would be more interesting (such as my impression that global warming and its effects is much more an accepted part of ordinary life here than in Tassie, where it seems to be still seen by many ordinary folk as a controversial environmental issue)?